Perfect Places - Vacation Rental Blog: Smoky Mountain Adventure: Find the Abandoned City! Smoky Mountain Adventure: Find the Abandoned City! Are you intrigued by the discovery of an abandoned town in Smoky Mountain National Park? So are we! Take your own vacation to the Smoky Mountains and let your adventure begin to find the abandoned city! The Smoky Mountains are a very popular destination for travelers who seek nature, seclusion, beautiful mountain scenery, and of course hiking! Fall is a fantastic time to visit the mountains as the foliage is changing colors making the scenery ever so pretty. Add in the thrill of searching for the abandoned city and you will be sure to have one of the most memorable vacations yet! There are many different areas of the Smoky Mountains that offer fantastic accommodations for your adventure to the Smoky Mountains. Bryson City is the closest town to Smoky National Park, followed by Whittier, Sylva, and Maggie Valley. Feel like you are on top of the world from this amazing log cabin home in Bryson City. 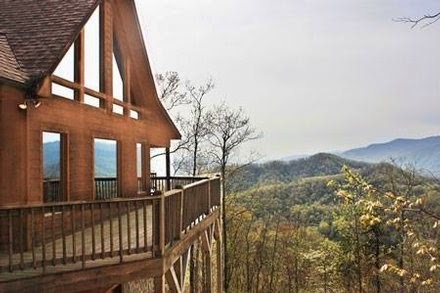 Set at 3,000 feet of elevation, it offers 5 acres of unspoiled nature and breathtaking views of the Smoky Mountains! This home has 3 bedrooms and sleeps up to 6 people and offers a grill, outdoor fire pit and hot tub. 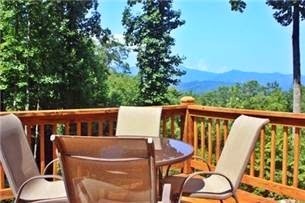 This wonderful Whittier vacation cabin boasts sweeping views of the Smoky Mountains and offers luxurious accommodations for up to 10 people! Enjoy the views from your wrap around deck, private hot tub, and all the amenities you could possibly need. Best off all, Smoky National Park is just 5 minutes up the road! 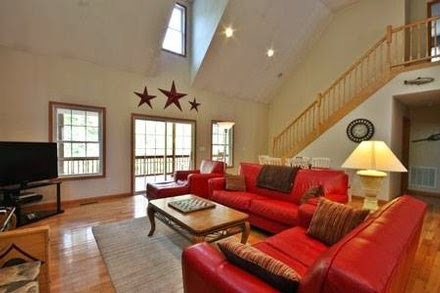 You will definitely enjoy your vacation at this cabin located right on the Tuckaseegee River in the Smoky Mountains! Enjoy the indoor fireplace, large porch, gas grill, fire pit, and fish from the comfort of your own cabin! Smoky National Park is also a short drive away. 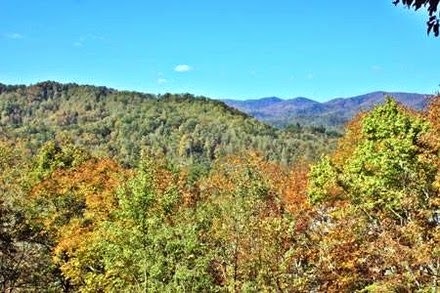 This is your true Smoky Mountain escape! 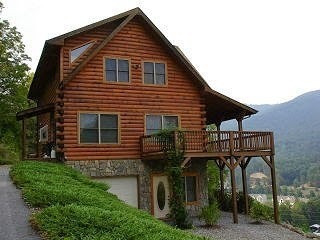 This log cabin home in Maggie Valley offers fantastic views, wrap around deck, private hot tub, and sleeps up to 8 people. The home overlooks Maggie Valley as well as the Maggie Valley Resort Golf Course--so if you enjoy golf, bring your clubs! These are just a few wonderful places to stay while you are searching for the abandoned city in Smoky National Park! We hope you have a great time hiking, fishing, relaxing, and enjoying nature in The Smoky Mountains! And please, if you find the abandoned town, let us know! If you need help planning your vacation to the Smoky Mountains, please contact our travel specialist! We love finding the perfect place for our customers Smoky Mountain adventure!